Like its predecessors, it is hard-backed and contains over 300 pages of text and pictures. Copies of the book can be ordered from this page or by contacting the Club's Hon. Secretary. You will be notified when your order has been dispatched to you. Payments by credit card or PayPal will attract a £1.00 administration fee to offset the cost charged to us for this service. 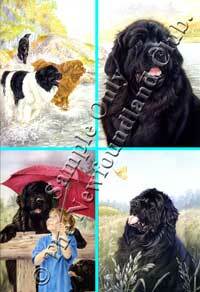 A collection of four greetings cards designed by renowned artist, Anne Mainman. Greetings Card packs can be ordered from this page or by contacting the Club's Hon. Secretary. You will be notified when your order has been dispatched to you. who will calculate the total and send you a PayPal invoice if you wish to make an online payment. If you prefer to make a payment by cheque, please make that clear in your order email. 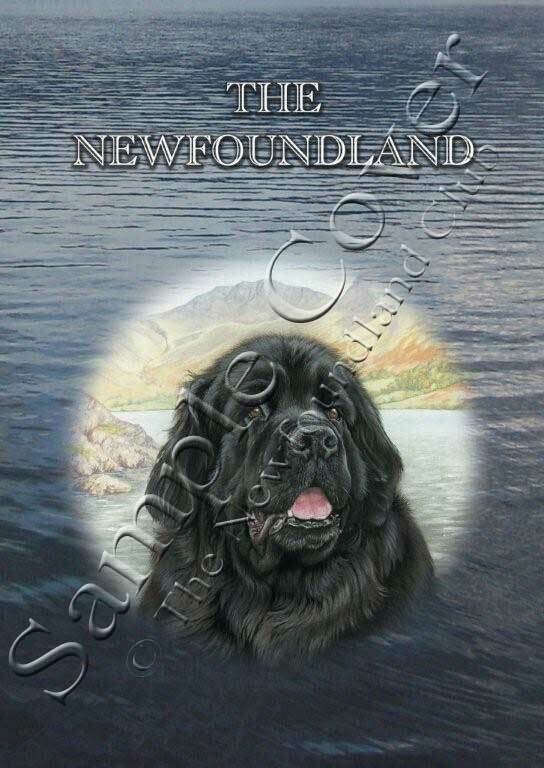 Newfoundland Club merchandise can be purchase at our Club shows and certain other events such as Crufts.